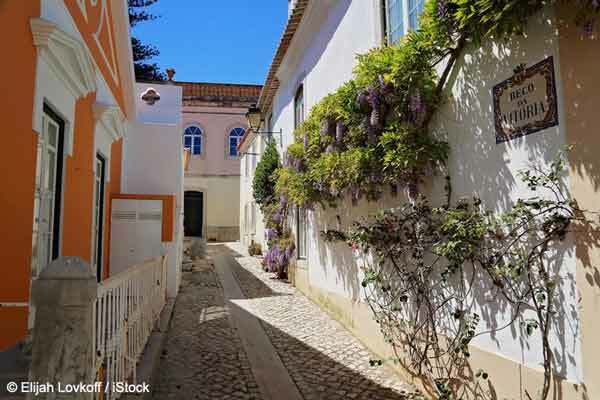 Estoril, in the upmarket area of Cascais, features picturesque cobblestone streets. There’s more. Wednesday and Saturday mornings at 10 a.m. the local outdoor market offers bargains of all kinds, and the library hosts readings and signings by multi-national authors. At the Cascais Cultural Center and Hotel Bai’a, groups like Americans Living in Portugal sponsor events including Happy Hour gatherings, traditional Thanksgiving Dinners, New Year’s celebrations, and Valentine’s Day dances. The cost of living in this area is higher than what you would find inland, for instance in the Alentejo. 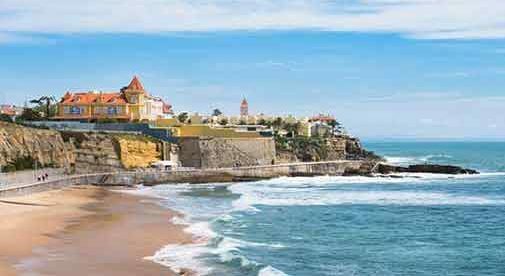 But this, along with Porto in the north and the southern Algarve, is one of the prime areas for American, Canadian, British, and Australian expats to choose as a base, especially since English is widely spoken. Rentals in the area range around $875 for a refurbished one-bedroom and $1,850 for a two-bedroom. Purchasing rather than renting, however, is probably a better idea now for anyone considering a move to the country, because property prices are on the rise. Dining out is still affordable, even in this upscale region of Portugal. While dinner for two can easily run $60 with wine, a lunch at a local pub can be had for around $12, and coffee and a pastry for $3. Another plus is low-cost healthcare. CUF Cascais is a private hospital nearby, but the state system is virtually free, and available to anyone who has a temporary residence card (required if you intend to remain in the country longer than 90 days).